Thank you, John. Keep Lisa away from that beach, or she might cover everything at the writing cabin with knit goods. Thank you, Harmony. Glad you enjoyed it. Looking forward to your post on the subject. The poster kind of captures that moment in the junk yard. Thank you, Harmony. I’m looking forward to it. Thank you, Jan. I think you’ll like it. Great job spotlighting Craig’s new work here, John. And Craig, you know I love The Hat. Best wishes with the release! Thanks, Staci. I’ll take all the well-wishes I can get. Oh, and before I forget, Go Steelers. Dilly dilly. Yes. Go Steelers! Dilly dilly! We’re currently down by three freaking touchdowns and I’m trying to manage my blood pressure. I know. I’m also a Steeler fan and am apoplectic. Looking better though. Not looking too good right now. We’ve pulled within one TD and we’re about to get the ball. No negative thoughts! This is painful in hindsight. John, I had forgotten you had Pittsburgh ties. 4:13 left in the game. I’m a basket case! Yes. And am in mourning. Just purchased my copy! How could I not? The thesis alone is a motivator. All the best, Craig. I know right? Looks like a winner, Gwen. Thank you so much, Gwen. Hope you enjoy it. What a fun concept for a story! This was a great post, John. Craig, congratulations on the launch of your new book. Thanks, Rhani. Just a bit of my craziness. I already know I will enjoy it! Thank you, Anita and Jaye. Thanks for sharing, John! This sounds like a fun read. Thank you, Jill. It’s intended to be a fun one. Thanks, I have high hopes. Lisa Burton is out on the blog tour today. She’s at John Howell’s place discussing heroes. Oh, and she’s delivering one of her fabulous posters. While you’re there, get to know John. He’s a great author, a super supporter, and runs a great blog. Thank you for the reblog and nice words, Craig. Congratulations, Craig! ‘The Hat’ synopsis lures me immediately, and Lisa as always looks stunning. I look forward to reading it. Thanks, John for hosting! Did you introduce Lisa to Bailey and Lucy? 🙂 I bought The Hat and look forward to reading it! I did. They loved her. I bought it too. Thank you, Jan. Hope you enjoy it. Congratulations to you and Lisa. What a team! Woohoo! LOVE that poster of Lisa as Lizzie in the Hat. 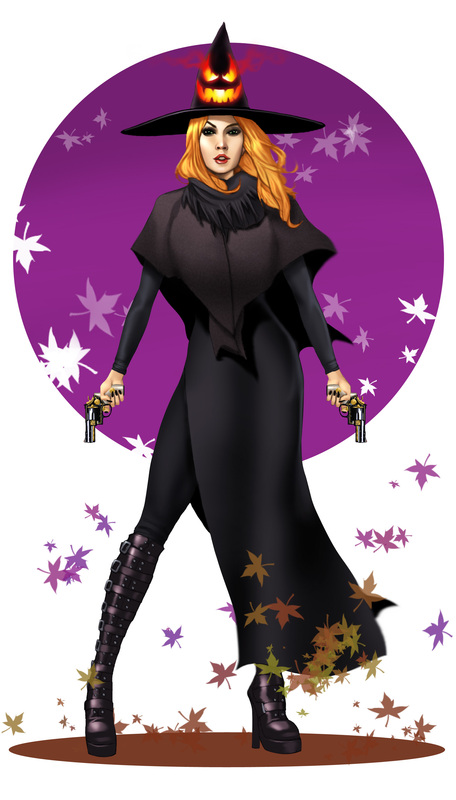 Actually, I love Craig’s vivid descriptions of Lizzie’s outfit (among all the action, humor and adventure) in the novella. I’ve read this one and it’s five stars. For anyone on the fence, go forth and one-click! Thank you for the visit, Mae. I have my copy. Thanks for the testimonial. Where do I send the check? Ha ha. Craig, this is one I really hope to read. Reblogged on mallie1025. I want that hat!! Hey, I look good in hats, but I’ll have to tape his(its) mouth, wherever it is. Yes, you need one of these, and he has a mouth in more ways than one. Thanks for sharing the post. Thanks, Vashti. Enjoy the story. Glad you like the poster. Thank you for the visit, Vashti. Going to pick a copy up! Like the blurb for this one! Thanks for the visit, Traci. Well, of course, after that fabulous intro, I had to hop over to Amazon and check it out. I’ll be reading it in the near future. Check out the newest work from C.S. 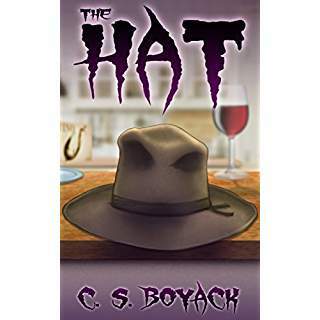 Boyack, the novella, The Hat. I’m looking forward to reading it myself. The details are in this post from John Howell’s Fiction Favorites blog. Thank you, Don. Appreciate the help. Ooooh – love Lisa’s hat! Thanks, Teri. Didn’t they have that version at Potter World? Congratulations, Craig! Fantastic reviews coming in, too. Bravo! Thanks, Natalie. It seems to be doing well. It’s exciting when people are enjoying the story. Thanks for the visit Natalie.